On the occasion of Can Tho becoming a new member of 100 Resilient Cities network (100RC), on the morning of June 6, the Climate Change Coordination Office (CCCO) of Da Nang City, also the CRO’s team, received Can Tho City’s Delegation coming to Da Nang for experience sharing and lesson learning regarding implementation of 100RC Program in the city. Can Tho Delegation included Can Tho Vice Chairman of People’s Committee Dao Anh Dung and representatives of major departments and agencies of the city. 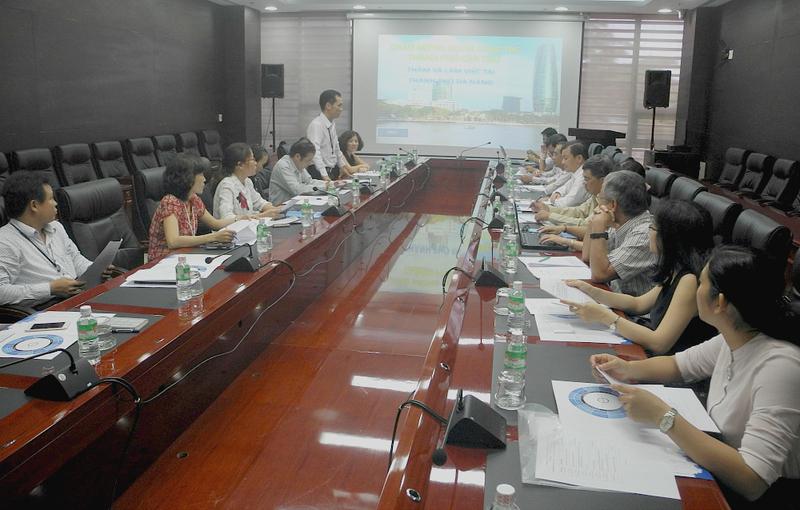 For Da Nang side, participants included Da Nang Vice Chairman of People’s Committee Phung Tan Viet, Director of CCCO and Da Nang CRO Dinh Quang Cuong, representatives of the city’s departments and agencies and CCCO’s staff members. 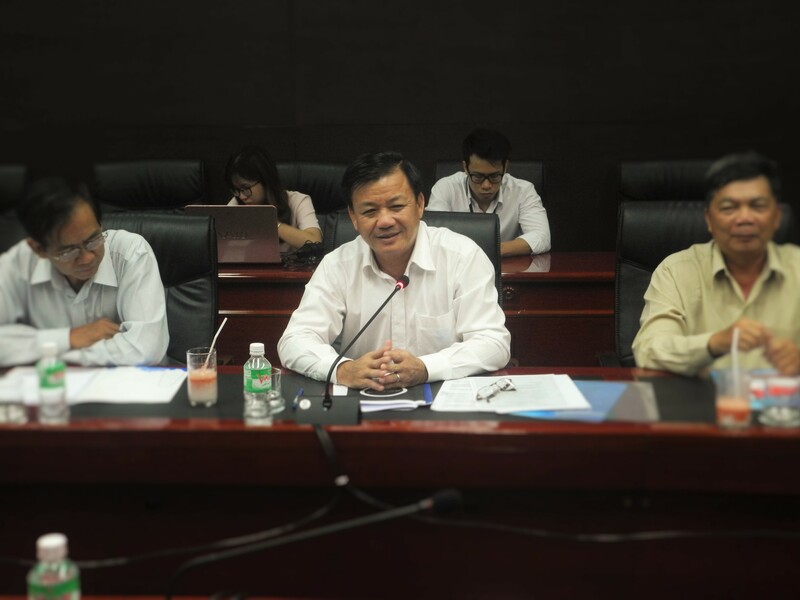 At the meeting, CRO Dinh Quang Cuong presented contents related to organizational structure and resilience strategy building process under the framework of 100RC. 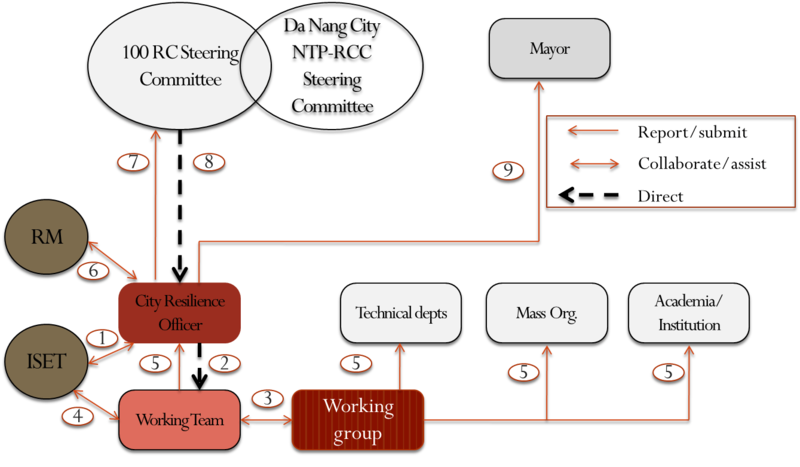 He hopes through his presentation, Can Tho Delegation can understand and select the appropriate experience and approach from efforts that Mr. Cuong and his team have been doing to leverage all resources of 100RC to successfully develop and implement Resilience Strategy for the city, helping the city to deal with emerging challenges of 21st century. 4. The image and reputation of the city can be promoted. On behalf of Da Nang’s leaders, Mr. Phung Tan Viet congratulated Can Tho on being chosen over 1,000 applications to join 100RC. In the future, Da Nang and Can Tho should enhance mutual support in applying lessons learned from the program. He hoped this opportunity can help to promote Can Tho’s reputation globally. He also advised the city of Can Tho to follow the way of Da Nang integrating the concept of resilience into Socio-Economic Reports. He made a commitment to Da Nang playing its role as a pioneer, providing needed assistance to Can Tho in 100RC implementation. Mrs. Ngo Thi Le Mai, Country Director of the Institute for Social and Environmental Transition (ISET) which provide technical assistance to Da Nang city, highly appreciated achievements of Da Nang in resilience strategy building process. Findings and lessons of Da Nang are aslo highly evaluated by 100RC Board of Management, and Da Nang’s experience sharing is meaningful to international members and Can Tho in particular. On behalf of Can Tho Delegation, Mr. Dao Anh Dung expressed his gratitude to Da Nang for valuable experience sharing. He shared Can Tho, located in the heart of Mekong Delta, usually has to bear severe consequences of floods and droughts; thus, joining 100RC can help the city to enhance its resilience, dealing with natural challenges to develop and increase citizens’ living standards. This entry was posted in English / Tiếng Anh, Working Group Meeting and tagged 100RC, CCCO Da Nang, ISET. Bookmark the permalink.